Lawsuit Alleges Shocking, Invasive Body Search by CBP - Hacking Law Practice, LLC. Tameika Lovell was detained by CBP (Customs and Border Protection) on November 27, 2016, at John F. Kennedy International Airport in New York City for a random search. Lovell, a school guidance counselor from Long Island, was grabbing her baggage after returning home from a vacation in Jamaica. This was not the first time that Lovell, a Black woman, had been stopped by CBP. After being put in a secure room, Lovell says that her belongings were searched by a female CBP officer. Lovell alleges she was asked if she was using a feminine product such as a tampon or pad. Lovell was uncomfortable, but she said no. She was then told to take off her shoes, lift her arms, and spread her legs. Lovell says another female officer was there as well, with her hand on her firearm. Lovell alleges that the original officer touched her “from head to toe” and then commanded her to squat. 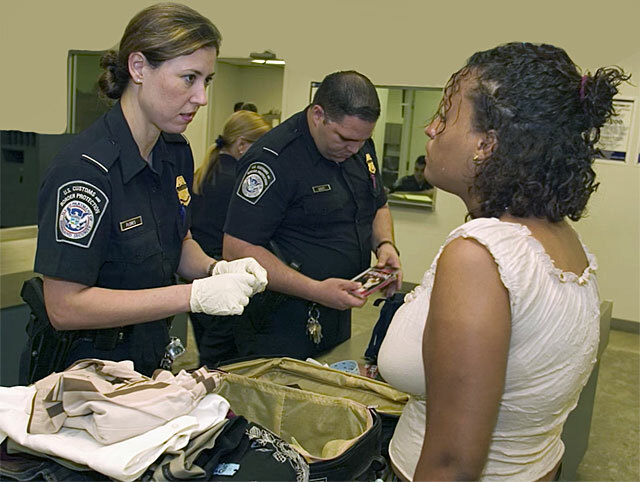 Lovell’s lawsuit filed in the U.S. District Court for the Eastern District of New York alleges that the officer “placed her right hand into [Lovell’s] pants ‘forcibly.’” The lawsuit claims that CBP officers violated Lovell’s constitutional rights and also violated CBP’s rules that do not allow for invasive body searches. Since 2011, there have been at least 11 cases that have been reviewed by the Center for Public Integrity. Some of the previous cases have been settled pre-trial, which skillfully avoids any damning testimony from CBP officers that have been accused. Six of the lawsuits led to $1.2 million taxpayer dollars in settlements. One case lost at trial.